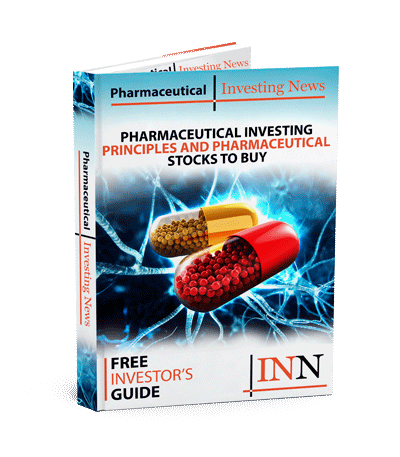 The pharmaceutical market is expected to increase in value in the coming years, meaning that there are opportunities for investing in pharmaceutical stocks. Investors seeking to diversify their portfolios would do well to look at the pharmaceutical space. Despite a reputation for being high risk, pharmaceutical stocks can be compelling for long-term investors. With the possibility of patented entry into new areas of treatment, the sector can present profitable opportunities for those who do their research. When it comes to investing in pharmaceutical stocks, investors should keep a close eye on companies when they reach clinical trials. Clinical trials are often a make-or-break chance for companies and their products — successful results can lead to big gains in the market, but failures or lack of advancement can have the opposite effect. Scott Gottlieb, the US Food and Drug Administration (FDA) commissioner, has put the agency on a path to change the pharmaceutical world through an emphasis on generic drugs and faster approvals. One of Gottlieb’s first moves came with the publication of a list of drugs in need of generic counterparts. This list was shared in an attempt to encourage drug makers to look into developing cheaper alternatives to the branded drugs dominating the market. US President Donald Trump has repeatedly said he wants to bring down the cost of drugs as a whole. In 2017, the agency doubled its amount of novel drugs approvals by accepting 46 new candidates; that’s compared to only 22 approved in 2016. As of mid-2018, the FDA had already approved 36. According to Statista, pharmaceutical revenues worldwide amounted to over $1 trillion in 2015, and have continued to rise with heavy boosting from the American industry and its large-scale production. The stats website highlights some of the biggest American players in the sector, including Pfizer (NYSE:PFE), Johnson & Johnson (NYSE:JNJ), Merck (NYSE:MRK) and AbbVie (NYSE:ABBV). It also mentions their European counterparts, such as Novartis (VTX:NOVN), Roche (VTX:ROG), GlaxoSmithKline (LSE:GSK), AstraZeneca (LSE:AZN) and Sanofi (EPA:SAN). The pharmaceutical market will reportedly be worth $1.5 trillion by 2021, according to the QuintilesIMS Institute. Growth will be driven by an ever-increasing population that is also rapidly aging. These factors are seen dovetailing to create the perfect market conditions for pharmaceutical companies that cater to the most vulnerable in society: the very young, the very old and the diseased. A reduction in poverty may very well reduce disease; however, that still leaves the other two demographics for players to profit off. In 2017, one of the biggest cash cows for the pharmaceutical sector was musculoskeletal disorders, which accounted for about 14 percent of the market. Metabolic disorder drugs had the highest CAGR between 2013 and 2017, and their CAGR is expected to grow to 9 percent between 2017 and 2021. Of course oncology, pain therapies and anti-diabetics are still the other major moneymakers in medicine, with Roche’s HER2-positive therapies bringing in $20 billion in sales last year. The Asia-Pacific region comes in second place globally for this market, accounting for 21.5 percent of all pharmaceutical sales in 2017, while the US took 36.5 percent. Personalized medicine, also known as precision medicine, is also an up-and-coming sector, with companies spending on research and development. On a global scale, in 2017 the pharmaceutical market totaled roughly $1.11 trillion, with around 15 companies bringing in half of all sales. Depending on what your portfolio is like, you might like investing in major pharmaceutical stocks, or you might prefer smaller companies with growth potential. Overall, with speedier drug approvals, an ever-increasing customer base and many rising sectors, investing in pharmaceutical stocks could be a good move. What do you think? Let us know in the comments. Your site was very informative and helpful.